Three interdisciplinary research teams have each been awarded $8 million in NASA grant funding to conduct five-year studies on various aspects of life in the universe. Together, their studies will explore the origins, evolution, distribution, and future of life beyond Earth at a time when several NASA missions are searching for potentially habitable exoplanets and possible evidence of life on several worlds in our own solar system. As a condition of receiving the grant, all three of the teams will become members of the NASA Astrobiology Institute (NAI) based at the NASA Ames Research Center in California. “With NASA’s Transiting Exoplanet Survey Satellite (TESS) on its way to discover new worlds around our nearest stellar neighbors, Cassini‘s discovery of the ingredients necessary for life in Enceladus’s plumes, and with Europa Clipper and Mars 2020 on the horizon, these research teams will provide the critical interdisciplinary expertise needed to help interpret data from these missions and future astrobiology-focused missions,” NASA Chief Scientist Jim Green said. 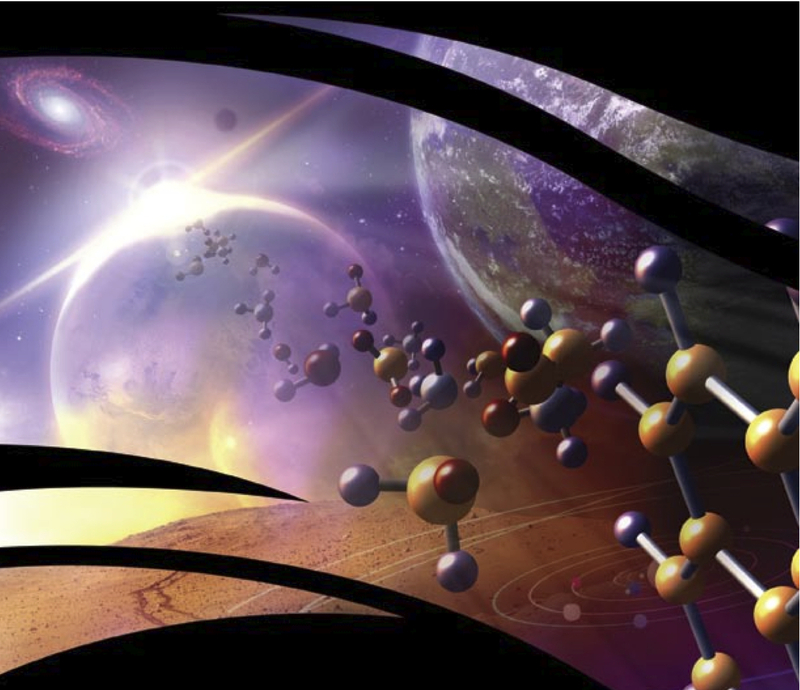 A central part of NASA’s astrobiology program, NAI seeks insight into the beginning and evolution of life on Earth and elsewhere as well as the question of how to search for and find life beyond our planet. “The intellectual scope of astrobiology is vast, from understanding how our planet became habitable and inhabited, to understanding how life has adapted to Earth’s harshest environments, to exploring other worlds with the most advanced technologies to search for signs of life,” said Mary Voytek, director of NASA’s astrobiology program. Together, the three new teams will comprise an interdisciplinary effort, and their research is likely to generate new scientific advances, she added. “We are delighted to welcome these three new NAI teams into the Institute family and look forward to the important work that they will accomplish over the time of their awards. Our existing teams are waiting to explore overlapping interests with the new project teams and the potential for even greater exchange of information, inspiration, and synergy,” emphasized NAI Director Penelope Boston. The Evolution of Nanomachines in Geospheres and Microbial Ancestors (ENIGMA) project, based at Rutgers University in New Brunswick, NJ, and led by Paul Falkowski, will explore how life began on Earth, focusing on the role of proteins as catalysts for life. Scientists will research the pre-biotic molecules and enzymes that became part of the planet’s first microbes. “Proteins are nanomachines that enable cells to perform complex biochemical tasks, including energy transduction and self-replication. The evolution of these nanomachines allowed early life to convert chemical energy in the environment into useful biological energy,” the project description notes. The Astrobiology Center for Isotopologue Research (ACIR), based at Pennsylvania State University at University Park, and led by Kate Freeman, will concentrate on the history of organic compounds by looking at the features of the elements within the molecules that make up these compounds. Using state-of-the-art computers and observation tools, these scientists will seek to better understand the planetary and metabolic processes that gave rise to these compounds. Researchers will study isotope patterns in organic molecules within meteorites, inside fluids deep within the Earth, in ice, and in minerals to understand the roles played by both abiotic and biotic processes in organic compounds’ formation and evolution. Habitability of Hydrocarbon Worlds: Titan and Beyond, based at NASA’s Jet Propulsion Laboratory (JPL) in Pasadena, California, and led by Rosaly Lopes, will analyze data from the Cassini probe to study possible habitable environments on Saturn’s largest moon Titan, which some scientists consider an analogue of early Earth. Their search for potential signatures of life will cover much of the moon’s surface as well as its subsurface and atmosphere. Scientists in this group will explore the methods by which organic materials are transported on Titan, determine whether the physical and chemical processes in its oceans create habitable environments for life, learn what biosignatures any life in Titan’s oceans would produce, and find out how biosignatures can be transported between the moon’s ocean, surface, and atmosphere. COOL, But CIA-PLA still play same game same team to me that is inside job to steal EPS Helen Lanzi’s wisdom free over 20 years. So keep going that have to fire money over $ 100 billion each year with lost Lanzi Art for Life’s strategy. I am not PH.D and master so don’t trust but have to spy on this way of dirty tricks of 36 games. and blogs to read posts, but this blog gives quality based articles.